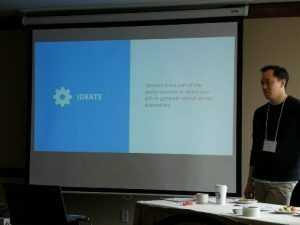 PVN Patient Partner Chad Dickie was recently sponsored by PVN to attend a great learning opportunity: a workshop on Design Thinking facilitated by the BC Patient Safety & Quality Council. Chad has been a volunteer since 2017 and has been a part of several committees and Boards, and involved with multiple patient engagement opportunities. He recently won the 2019 Quality Award for Leadership in Advancing the Patient Voice. He has written a blog post about his experience at the workshop and how he`ll apply his new knowledge to his future engagements. Take it away, Chad! When I saw a recent engagement opportunity for the Design Thinking workshop in Victoria, I immediately applied for a PVN-sponsored seat and was fortunate to be selected to attend. 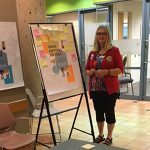 So, on a rainy day in November 2018, I joined 22 healthcare professionals and our facilitators, Anthony Gagne, Kathryn Proudfoot, Colleen Kennedy and Andrew Siu, for a full-day introduction to design thinking. Before the start of the workshop, I had homework: I was asked to think of a “wicked problem” or a challenge that can be turned into an opportunity for change. I decided I wanted to use this workshop to think about how to embed patient and peer navigation in primary care to improve the patient experience. 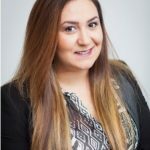 The presentation revolved around a few main topics, focusing mainly on different ways to cultivate empathy for better communication and improving services, as well as the ways design thinking matches human needs with available resources. We discussed using interview techniques to identify improvement needs and how to turn ideas into action. We dug deep into empathy as it’s essential to effective interpersonal communication and a human-centred approach in health care and beyond. Being empathetic can help identify users and their issues and needs, provide guidance for identifying behavioural patterns, and generate inspiration on appropriate and conscientious response to others, whether a patient, client, co-worker or supervisor. 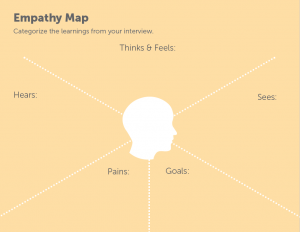 The workshop introduced me to some new concepts for innovative thinking such as empathy mapping and techniques called SCAMPER (substitute, combine, adapt, modify, put to another use, eliminate, reverse) and Building to Think. I learned that some of the biggest motivators for change come from the dialogue to uncover needs, being aware of power dynamics, leap-frogging off other ideas and leading alongside patients and families. The workshop was fast-paced but it was an enjoyable day of learning and engaging with others. My biggest takeaway from Design Thinking is that it is easier to work a ridiculously big idea down to a manageable solution than it is to build up a mediocre idea. As a PVN patient partner, this workshop will help me challenge myself to improve my constructive contributions in BC’s health care system as a patient, caregiver, researcher and life-long learner. Thank you, PVN, for selecting me to attend the Design Thinking: A Human-Centred Approach to Health care Improvement workshop. Thanks for sharing your experiences, Chad! You can follow Chad on Twitter at @chaD4quality. On empathy: I no longer expect anyone to empathize sincerely with my own issues. I’ve come to understand that true empathy comes from those who’ve lived through similar circumstances. 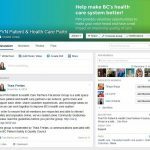 Therefore, if this is a priority initiative in BC, a redesign of our Health Care System might best achieve the goal of empathy by creating new ‘patient partner’ positions in communities. Perhaps these could be paid positions within the Health Authority Structure. The focus of the positions could be provision of peer-support from those who’ve weathered through to remission or cure of whatever particular illness or injury a fellow patient might be going through. An example of this is happening for me in my own life. I’m a former BC paramedic with PTSD. Following a suicide attempt in 2015, after years of solo-struggle, confronting what felt, very much, like lack of empathy across the society, I started meeting fellow first responders in the same boat. I now have a peer-buddy-we support one another and there is true empathy in this relationship. I do limited coaching, helping others navigate towards trauma-informed clinical care. Here too, I’m able to fully and truthfully empathize with those who ask for my help-and the folks I’ve assisted have told me that the greatest support I’ve offered them is: “You Get It”. There’s opportunity for Health Coaching Training available online. This is an example that I appreciate most. For trauma issues, there are courses online that can teach about peer-support. Of course, we could perhaps establish peer-support networks using volunteers who’ve made it through-with supportive training so as to protect both peer and peer-supporter from causing one another any harm. I find volunteer stuff like this generally begins with fire-but over time, the networks dwindle back into non-existence. Why do we such lack of empathy, particularly those patients with issues that places us in vulnerable populations (disabled, mentally ill, addicted)? I believe for the reasons above. Plus, we humans are social herd animals. We’ve a pecking order social hierarchy. We’ve fallen victim to accepting false-beliefs as true. In our BC meritocracy (as our leadership continues to act out) there’s an underlying tone among the healthy, wealthy, and unwise in leadership that anyone who’s mentally ill, addicted, and/or homeless, have chosen to put ourselves here. I argue that the principles that guide the choices made by leaders in our systems, that generate policy are inherently invalid. For vulnerable humans in BC, we’re talked about, rarely to by decision-makers. Because the principles that guide decision-making aren’t valid, resulting policy is making a mess out of the gate. Our Systems are top-heavy in managers-and we’ve lost front-line support staff in our Health Care System. Where my own generation had a relationship with Family Physicians, beginning with our Birth, we now get 15 minutes and pills when we visit our Doctor for care. So the Health Coach who’s lived the issues, and who can be sincerely empathetic from a patient place: I believe would add value and achieve the goal of developing empathy, best, within our Healthcare system. Peer-Support: “Lived Experience” + “Training in Coaching” = “True Potential for Empathy in Healthcare”. Our social hierarchy and way of life bullies the vulnerable. It’s our striving for status, wealth, and power that excommunicates our fellows to the holes in society where the vulnerable are forced to congregate to find, among themselves, the social support of peers. Part of the homelessness issues comes from the reality that those addicted souls who’ve been abused across a lifetime, find one another in lieu of those who chose to excommunicate them. A vulnerable person finds true empathy among the vulnerable. Labeling this Initiative, as was requested in the email I received: I accept any label we come up with. “Not ABOUT ME, Without me”. The PVN, for me, is a God-Send.